Goodbye 2018…Hello 2019 | Retired? No one told me! My son has been back from the UK for Christmas which has been lovely so I opted not to do any blog posts and took an unscheduled break. I know it is a necessary evil and one we need but moderation and my timer will be brought into play…I am going to be strict with myself… 3 only! I have made a good start on Take 2 the intro is done and the recipes well on their way …My plan is by the end of April for publication. Where is my blog going… Waste is high on my agenda as I think we live in a beautiful world and cannot rely on governments and politicians to address this problem we need to be proactive…Not Fanatic but proactive and if we start in our own home as many have it will spread as others aka family and friends see how you save money as well as saving the environment because you do save money…And who doesn’t like the sound of that??? Fad diets and food fashions come and go…I, of course, will be researching some of these…You just knew I would didn’t you? Additionally, Friday’s will bring you an insight into my week in my kitchen…Lots of recipes and tips so please join me for My week in my kitchen. That’s all for my first post of the New Year…Thank you for reading it and thank you to all my loyal followers…You rock! Before 2018 Ends, Let me Thank All the People Like You, Who Made 2018 Beautiful for Me. Have a Great last Day of the Year. This entry was posted in Carol's Cookery Column at Smorgasbord Magazine, choices, Cooking from scratch, Green Tea, Happy 2019, Life choices, The Culinary Alphabet, The difference between Matcha and green Tea, Uncategorized and tagged Books, Cooking from scratch, Happy New Year 2019, Healthy Eating, Healthy living, How to brew perfect green tea, New Year, Reviews on January 1, 2019 by CarolCooks2. Hey there Carol and Happy New Year! I appreciate the creativity in this post with the “Flight 2019” bit. Made me smile! Wonderful intentions for 2019 Carol.. And I am always amazed at what you achieve .. But then busy people get things done..
And wishing you a Wonderful Happy New Earth Year my friend..
Carol, a very thoughtful and insightful list of goals for 2019 – as a lifetime lover of fish (my grandfather was a Shrimp fisherman on the Olympic Peninsula west of Seattle) I agree that a way to continue to fish in a safe and sustainable way is a priority – along with many of your other goals…good luck to you and I look forward to reading all of your posts! I really enjoyed reading your thoughts Carol and wish you well in your endeavours in 2019. You are very busy and i agree with cutting down on social media, it really eats into our time doesn’t it? What are you planning to do in regards to your 3 Social medias? 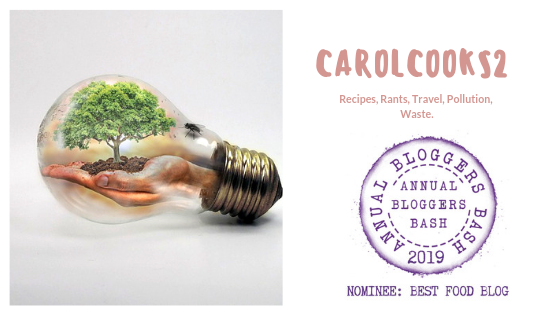 Have a brilliant 2019 Carol – and as for cutting down on your blog – with 3 per week plus the guest posts and all that cooking and shopping and reading! I don’t know how you do it and here is me wondering if I can cut down blogging from 2 times a week to only one! Wishing you a very happy New Year and good luck with your goals. It is amazing how we all resolve to cut our social media every year, Carol. I must say that I control mine so I don’t have that as a goal. It still eats into my writing and reading time but I love it and it is necessary for my book marketing and promotions. I find the blog posts I read helpful and the community delightful. Happy new year. Wonderful, Carol! I so admire you determination to be on the laptop far less and write, cook, and research. You inspire me. Happy New Year! Happiness & Health to you in 2019 Carol! I would love to join you aboard flight 2019! Happy New Year!! May the new year be kind to us all. Sorry, it’s Pamela. Nice to meet you. Happy 2019, Carol. Lovely post, and some thought-provoking resolutions, there… currently enjoying a Calais New Year with our recently-discovered French relatives x. Happy New Year, and I’m glad you had a lovely Christmas!